HomeScienceCan Cannabis Treat Inflammatory Bowel Disease (IBD)? Evidence is mounting that marijuana may prove vital to ease the suffering of 1.6 million Americans with inflammatory bowel diseases. Cannabis has already proven effective at reducing symptom severity for a bunch of different digestive issues. 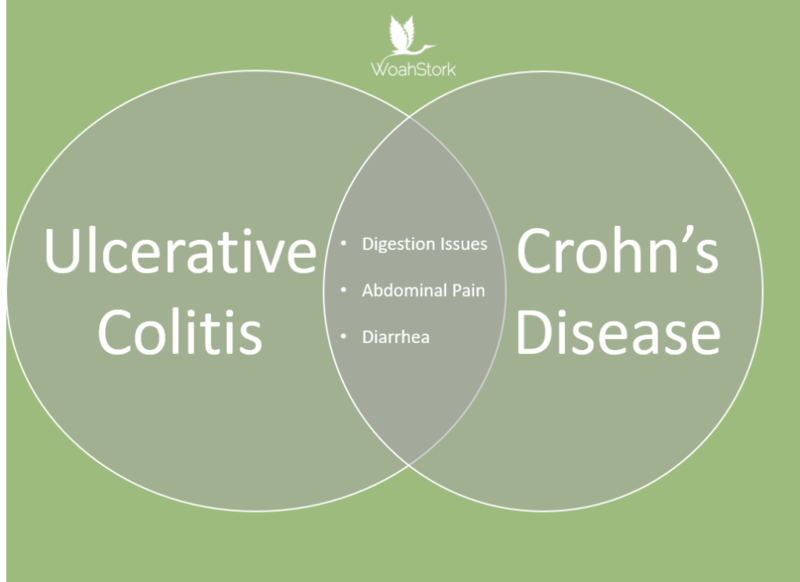 The central question about cannabis for inflammatory bowel diseases (IBD) is whether it’s only effective to treat symptoms of IBD, or whether it’s affecting the gut to also reduce inflammation. An August 2018 study on mice with IBD seems to provide the strongest evidence yet that cannabis does actually reduce gut inflammation rather than just masking the symptoms. 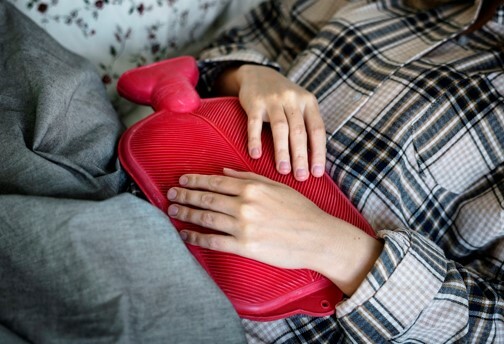 IBD includes ulcerative colitis and Crohn’s disease, which are intestinal conditions interfering with digestion, causing abdominal pain, diarrhea, and other symptoms. IBD is an autoimmune disease, meaning the body is mistaking healthy gut tissue and vital beneficial gut bacteria as invaders, sending out white blood cells called neutrophils to attack them. The diseases are often chronic and can worsen in flares that last days or weeks before receding. According to the August 2018 study in the Journal of Clinical Investigation, activating the natural cannabinoid receptors in the interior cells of the intestine blocks the entrance of white blood cells into the inside of the intestine, reducing the severity of the attack on healthy germs and tissue. The endocannabinoid system is composed of a series of nerve receptors and cannabis-like chemicals that fit into them like keys in locks. These interactions between the cannabinoids the body produces naturally and their receptors govern all sorts of physiological functions, from mood, to sleep, to appetite, to perception, to digestion. Only recently have researchers discovered that the gut is filled with cannabinoid receptors. In the August study, scientists showed that mice who lacked these receptors or didn’t produce enough natural endocannabinoids were likely to develop ulcerative colitis and Crohn’s. The cannabinoids in marijuana work by hijacking the endocannabinoid system and fitting into the cannabinoid receptors in place of the body’s natural cannabinoids. 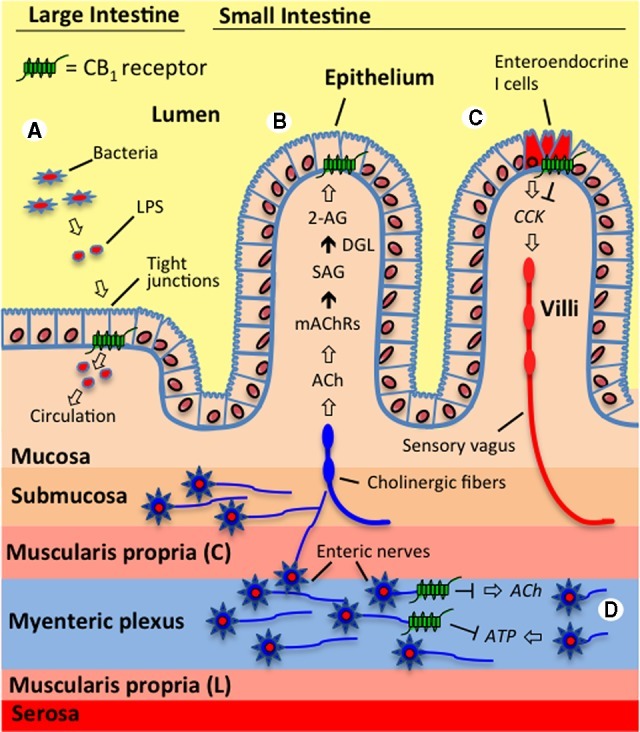 CB1 receptors are found all throughout the Large and Small Intestine. Beth McCormick of the University of Massachusetts, a lead researcher on the subject, told Popular Science that her team had no intention of researching marijuana or even the endocannabinoid system. But the endocannabinoid system revealed itself as one of the causes of IBD. What Do We Know About Cannabis for IBD? Controlled trials of marijuana and its components are in their infancy because obtaining and using the drug — even in clinical settings — is still illegal federally. But small observational studies show promising results when cannabis is prescribed to patients with IBD. Another small study shows that IBD patients who were not marijuana users were given 50 grams to smoke as needed over the course of three months. 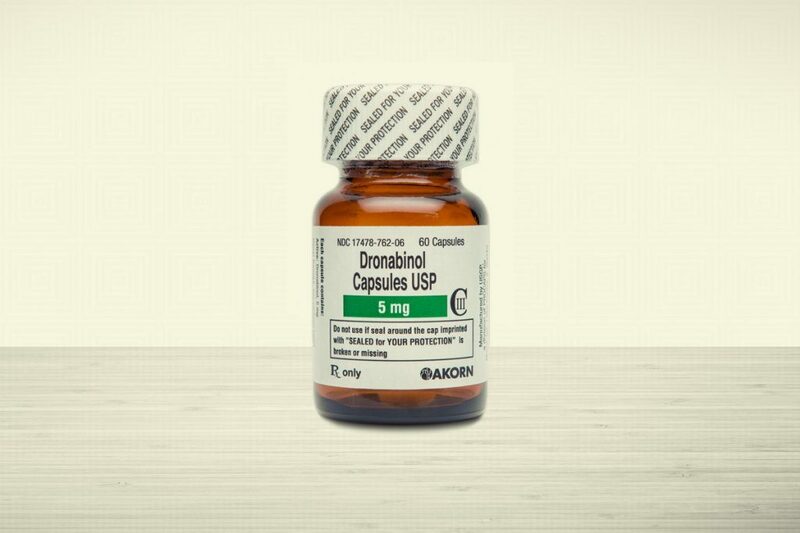 The study included only 13 patients, but achieved dramatic results. All reported dramatically improved wellbeing and a big reduction in abdominal pain. More objectively, the subjects gained an average of 9.5 pounds (in this case, a health improvement) over the course of the study, and reduced their number of bowel movements by a third. Are Clinical Trials to Test Cannabis for IBD? Still, even proponents of cannabis for IBD call for more research. Luckily, medical institutions are responding to the call. According to the U.S. government’s clearinghouse for clinical trials, medical centers from Minnesota to Canada to the Netherlands are testing cannabis and its various derivatives for effectiveness against IBD and their less severe cousin, irritable bowel syndrome. Mount Sinai Hospital in Toronto is setting up a clinical trial to study the effect of the cannabis based pharmaceutical Nabilone (Marinol / Dronabinol) for IBD pain, while the University of Illinois at Chicago has a trial planned for cannabidiol (CBD, one of the main cannabinoids in marijuana) as an adjunct therapy for Crohn’s. As of October, 2018, neither of these studies was yet recruiting patients, according to ClinicalTrials.gov. Another study in the Netherlands is testing CBD chewing gum for IBD relief, but participants can enter that study by invitation only.